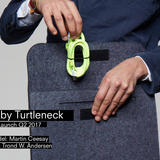 We’re Turtleneck, a Scandinavian fashion-tech accessory brand helping people avoid everyday crankiness by eliminating their irritating everyday problems. It only takes your earphones 4.5 seconds to tangle in your pocket, yet untangling them takes forever? Or how 15 % power suddenly turns into 1 % just as you’re about to send an important message? How about when your hand gets tired from holding the phone when watching cat videos on Youtube in bed at night? Now take a second and run through your day in your head, how many hiccups do you encounter with your technical devices during the day? 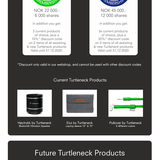 We have stopped counting…..
At Turtleneck, we have specialized in these kind of technical everyday problems. With a fierce passion, we have set out to eliminate as many of them as we can. But how do we do that? We often see that if a product offers functional solutions, it usually looks… well… too functional. And if a product is stylish and fashionable, it’s often uncomfortable and unpractical. 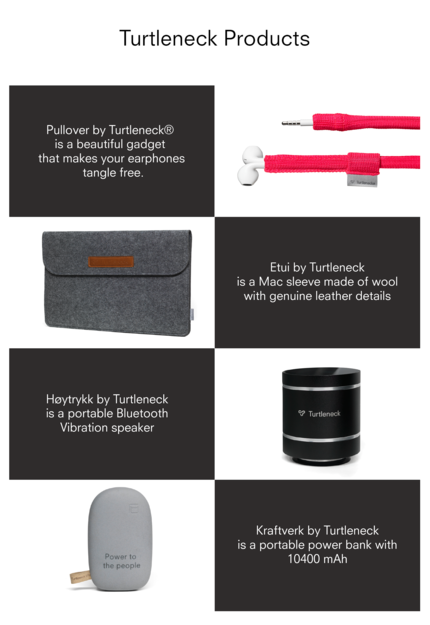 Turtleneck however offers innovative, practical, and functional products, that both look good and feel great. Whether it be fashionable pullovers to untangle your earphones, small and neat emergency chargers for your phone, practical and colorful wire organizers, or anti-lose equipment for your new Apple Air pods. The common denominator to all our products is that they solve a specific everyday problem for the user, while making the user look good while using them. That’s how we can say that Turtleneck helps you avoid everyday crankiness. Our ambition levels are high, and we wish to help as many everyday people as possible, eliminate as many everyday problems as possible, starting with Norway and Europe. 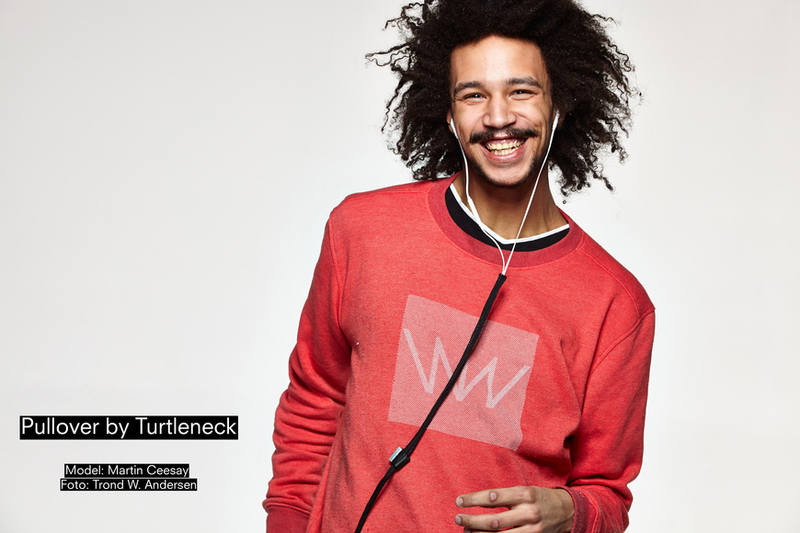 Turtleneck started off as a single product company, where Pullover by Turtleneck® (patent pending) solved the well-known everyday problem of tangled earphones. It's a simple and beautiful textile gadget that makes your earphones tangle free. 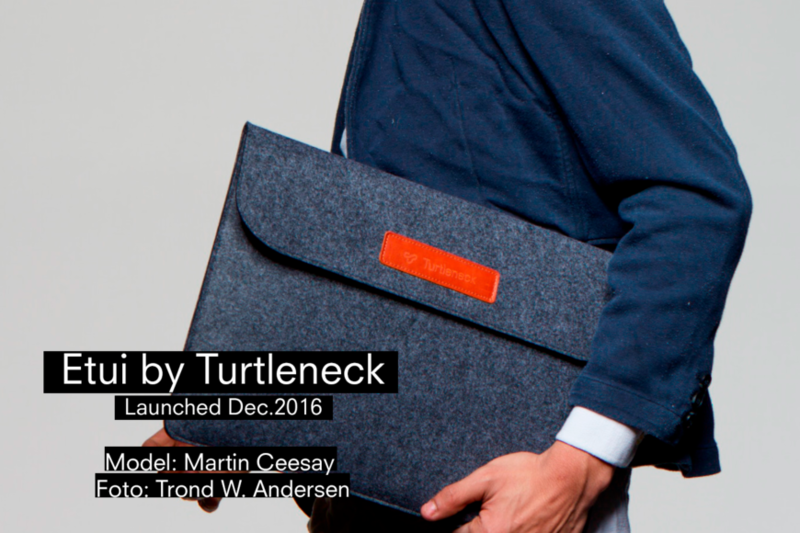 Pullover by Turtleneck® was launched through a successful Kickstarter campaign in November 2015, and now it has sold close to 10 000 units in more than 30 countries! 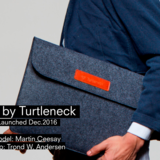 As a young and fast growing Norwegian fashion-tech accessory brand with global ambitions, Turtleneck is build on the cornerstones of function, design, responsibility, and fun. 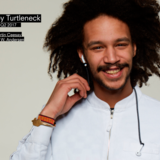 With a strong intuition, and tons of creativity, Turtleneck creates a new world of functional and fashionable accessories with a positive and playful attitude. 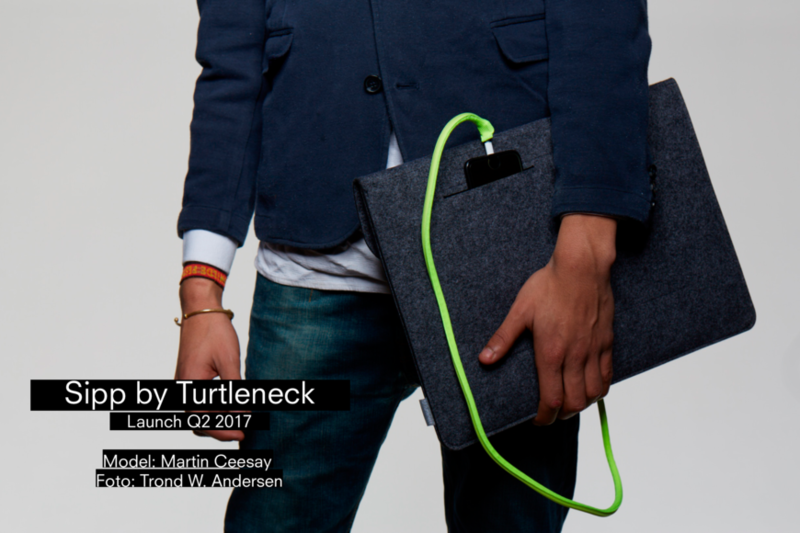 In 2016, Turtleneck started on new products that match our overall vision of becoming a leading fashion-tech accessory brand in Europe. 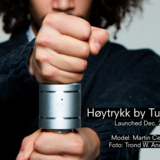 In order to increase the product portfolio in time for 2016 Christmas sales, we started off with some me-too products that all address different everyday problems; a Powerbank called Kraftverk, a MAC sleeve called Etui, and a Bluetooth Vibration Speaker called Høytrykk. Me-too products are un-branded products that we modify and brand to fit Turtlenecks trademark. We include these products in our portfolio to increase shopping chart value. 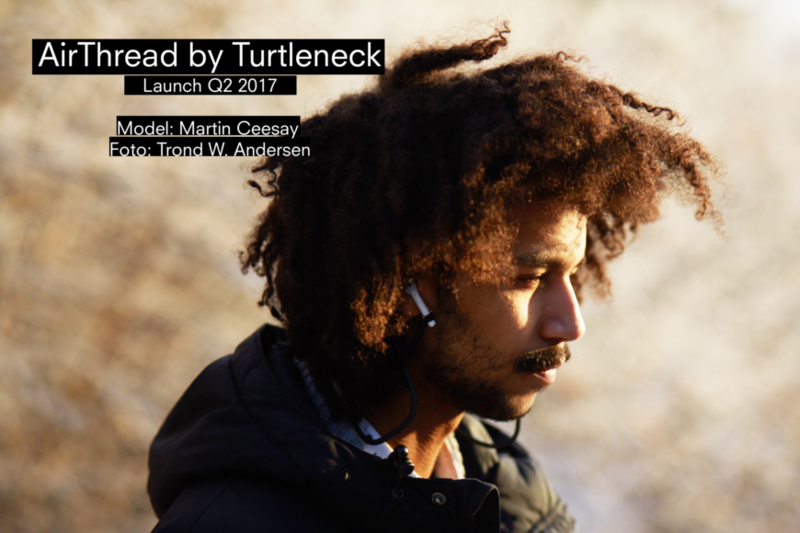 AirThread by Turtleneck - the first accessory for your new wireless Apple AirPods (And yes, it is a wire!). 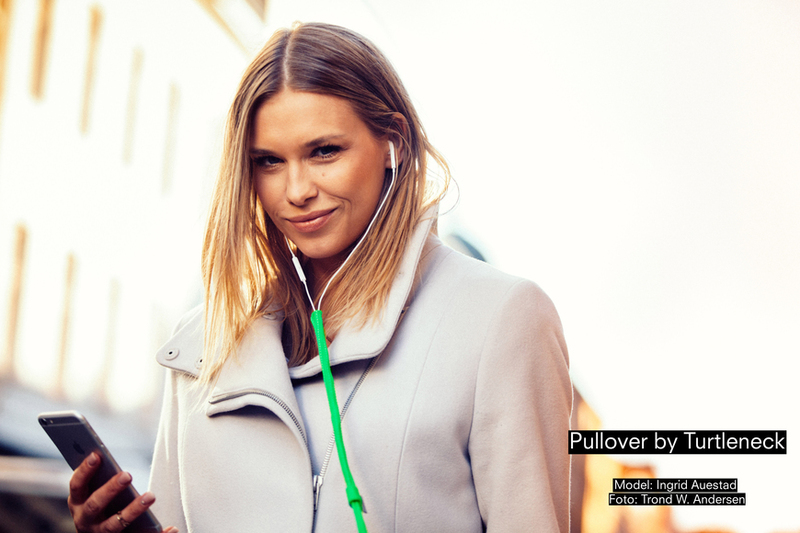 Sipp by Turtleneck - an extension of Turtleneck for Earphones, where we attack the challenge of untangling and differentiating your charger. 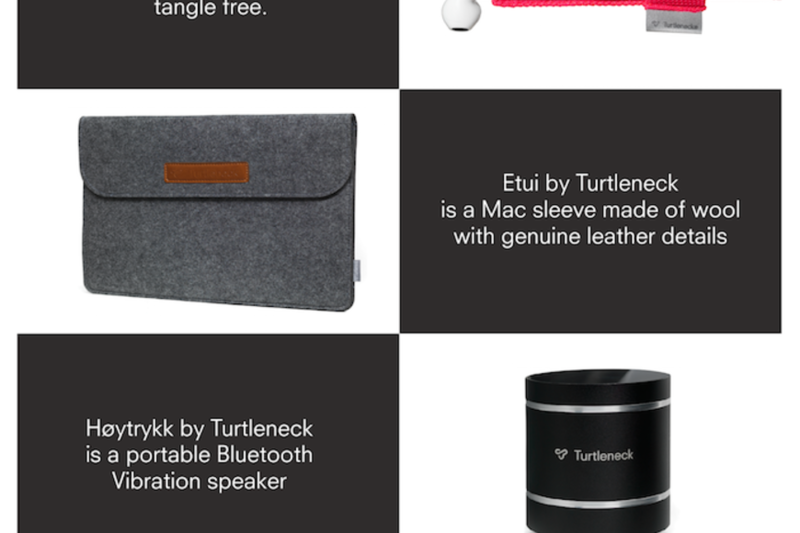 Heim by Turtleneck - where we attack the mess of cords and wires in the home. Another five products are in the immediate pipeline (and even more are in-coming), however it's too early to reveal them at this point. 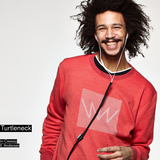 Until now, most of Turtleneck's sales have come though webshop sales on out own platform. 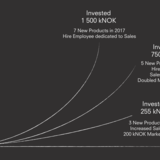 The sales strategy for 2017 is to expand to retail stores, focusing primarily on both independant stores and major retail chains in Norway and the Nordic region. 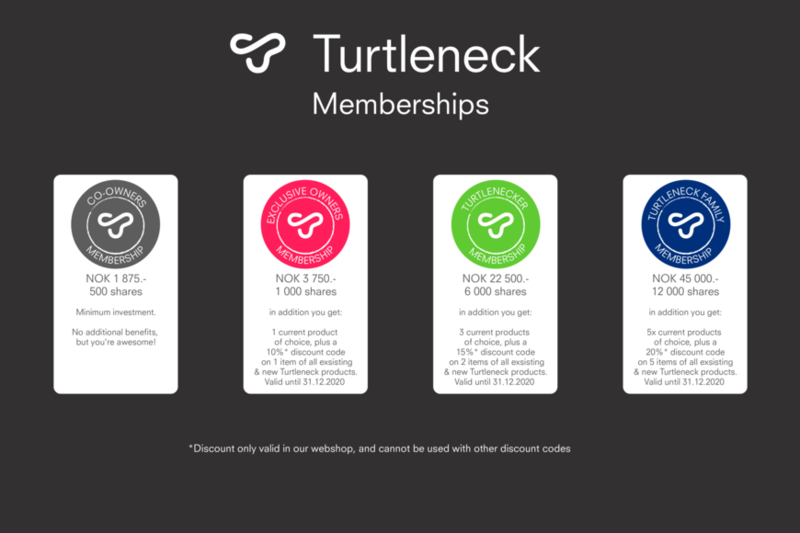 In 2016, Turtleneck AS signed a framework agreement with one of the major Nordic electronic appliance retailers. The content of this agreement is of course confidential, however what we can reveal is that includes an invite to show all the new products in our pipeline. 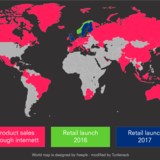 Hence we now have established a potential retail channel with more than 200 retail stores in the Nordic countries, for all new products that we develop! 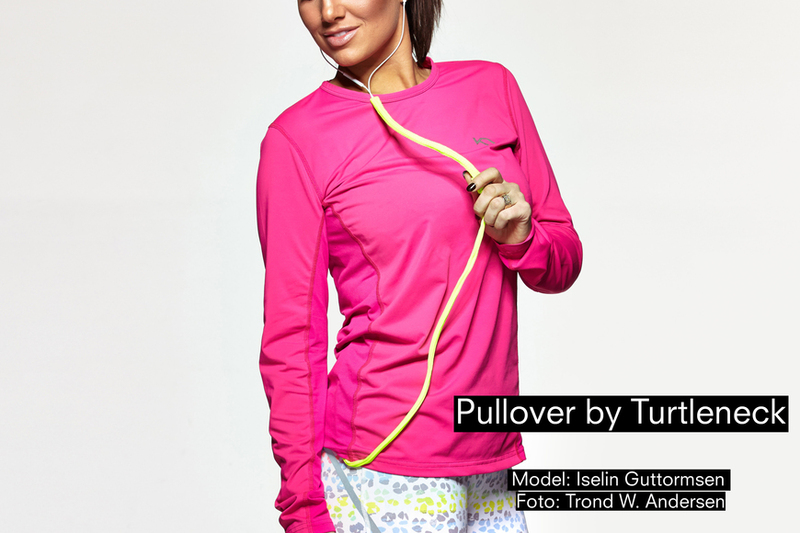 Pullover by Turtleneck® is planned to be included in their retail stores from Q1-2017. 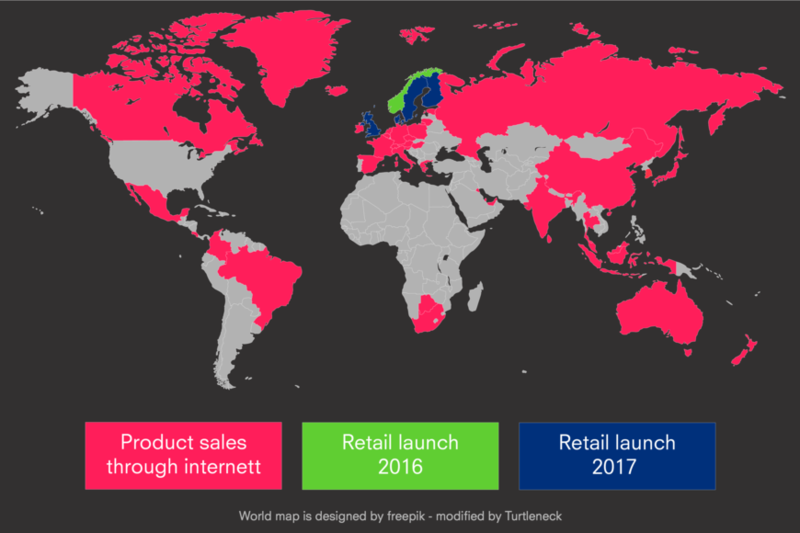 At Turtleneck, we are continuously working to improve our existing logistics system in both Norway and EU, and we are confident that this will enhance the customer experience in our webshop. 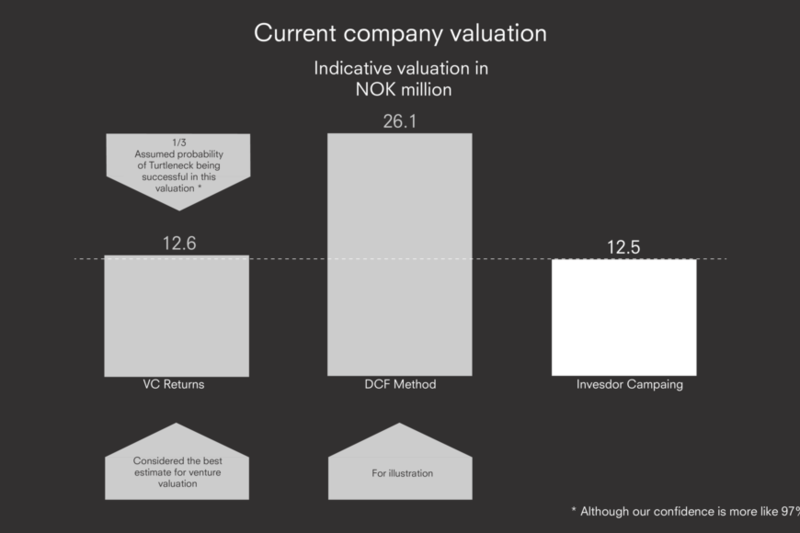 Turnover for the year 2015 was 720k NOK, and turnover for 2016 was 850k NOK. 2016 was dedicated to getting long term agreements and product development to a scalable state. In 2017 however, we will increase our focus on sales, and have estimated to more than double the turnover for 2017. 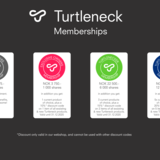 At Turtleneck AS we promote decent working and environmental standards in our supply chains. We cooperate closely with our suppliers and business partners in pursuit of this aim. Accordingly, we have prepared a code of conduct to illustrate what we expect of our suppliers and business partners. The code of conduct covers human rights, workers’ rights, environmental sustainability, and corruption. For instance, in the making of Pullover by Turtleneck®, we only use textiles that are certified according to STANDARD 100 by OEKO-TEX® in order to ensure that the product doesn't contain harmful chemicals. Turtleneck AS aims to continuously improve policy and practice that supports suppliers in complying with this code of conduct. Therefore we also seek to visit our suppliers' factories on a regular basis. Our last visit was in November 2016. We have a good relationship with our productions partners in Asia, and have established efficient product development and production routines with the them. We consider this strong relationship as one of the company's greatest assets. The market potential for mobile accessories globally is estimated to be $81.5 billion in 2015 and is forecasted to grow to $101 billion in 2020 at a compound annual growth rate (CAGR) of 4.3%. Protective carry cases is the top growing category, contributing the most to aftermarket mobile accessories shipments, followed by chargers, screen protectors, and headsets. 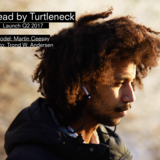 As Turtleneck develops new and innovative accessories for technical products such as smartphones, we challenge larger companies that specialise in developing smartphone accessories. Market mechanisms in this industry is short product development, swift production, and well established distribution channels. It is also characterized by high amounts of imitation / copying, despite all this, companies that are first to market with new products have a strong position. Typical examples of competitors in this market segment are; InCase, GOJI, Happy Plugs, and Belkin to mention some. 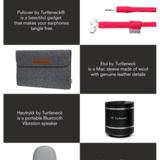 Turtleneck also has new and innovative products in the pipeline that are more techified-fashion products, and the competitors can be different than companies mentioned above. Companies such as the following can become competitors for certain products in our portfolio; Tiger of Sweden, Swims, Rains, and Royal Republiq to mention a few. 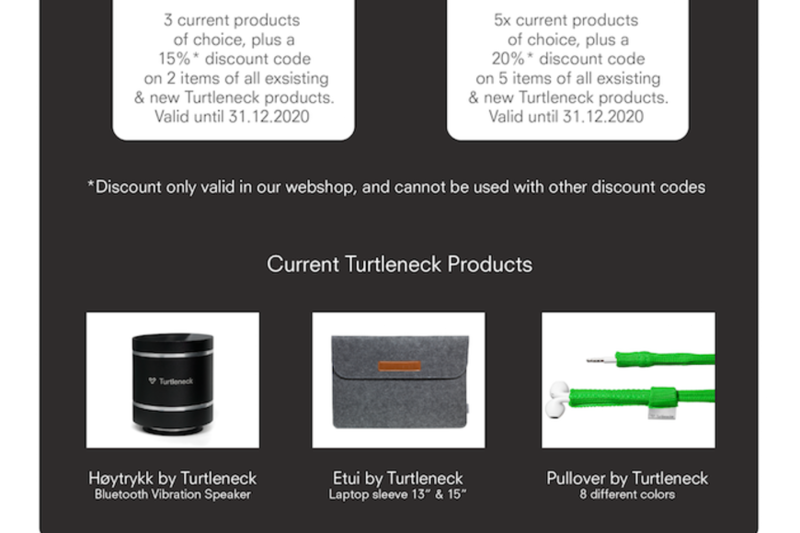 It's important to keep in mind that since Turtleneck aims to mainly develop new and innovative products, some of these competing companies can be interested in acquiring Turtleneck to expand it's assortment. Our team is made up of friends and colleagues, all of which have one major thing in common: We all turn into grumpy bastards when facing all the irritating everyday problems life throws at us. Which is why we in 2013 thought it was so fitting to collectively put our energy into eliminating as many of them as possible. Karstein is passionate about innovation and product development. He loves to ask questions and make new stuff. He plays guitar and has talked about learning the piano for 5 years. However, Karstein's biggest talent is definitely his unique ability to spill coffee, even when there is no coffee around. Tore is Mr. Mood Swing. However, it swings between awesome and freakin’ awesome. He is the one with the spreadsheets and with full control of everything at Turtleneck. Tore is interested in anything and everything creative and he loves his own ideas. Clara is Turtleneck's auto-correct function. She is passionate about communication, and is in full control over what is being said, by whom and how. Her energy, direct attitude, insane beauty, amazing humor, and ability to tackle any challenge, makes her a very valuable team member. As the final spell-checker for Turtleneck, she might have added extra compliments in this text, hoping non of her team members will notice. 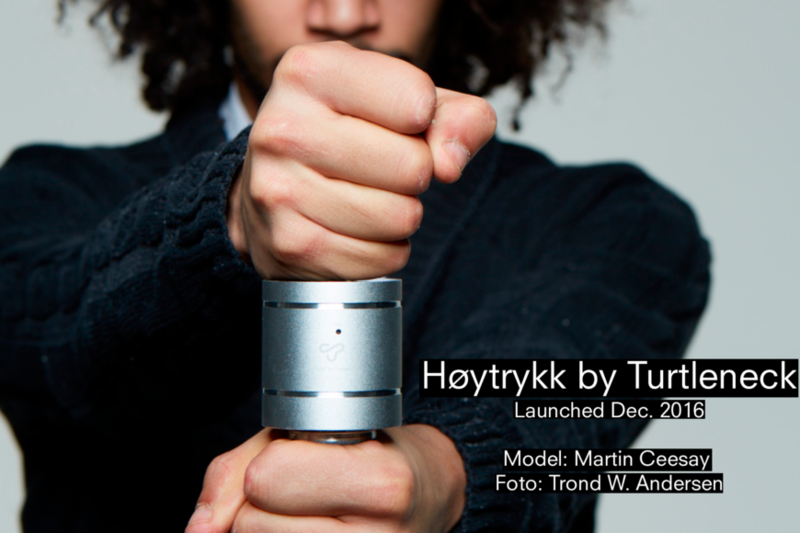 Lars Ivar has always created his own stuff. We think it has something to do with the fact that he was raised on a farm where he had the opportunity to both make and fix a lot of things. 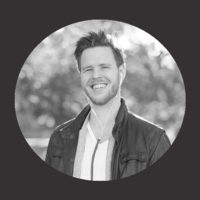 Lars Ivar loves to bend the rules of design and chase the new. 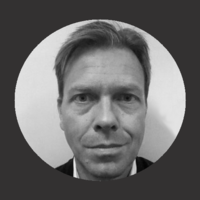 Lars Ivar is not an employee at Turtleneck, however he is Turtlenecks Board Leader and contributes with testing our new prototypes. Currently he works at DIGITREAD. Lene is the most caring person we know. She always makes sure everyone's ok. Lene loves fashion and design. She also loves to work out. 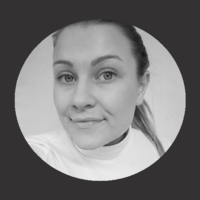 Lene is not an employee at Turtleneck, but her advice are highly appreciate and often used for our textile & fabric products. 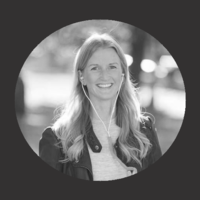 Currently she works for Varner Gruppen, and specifically with the design of the new Zlatan Ibrahimovic brand. Håvard has always been computer savvy, and thanks to him we can connect with people everywhere through computers, laptops, tablets, smart phones, smart tv’s... pretty much everything with an internet connection! 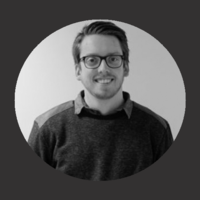 Håvard is not an employee at Turtleneck, but he is still in charge of our website and therefore a critical asset for us when we need to do updates for new products etc. 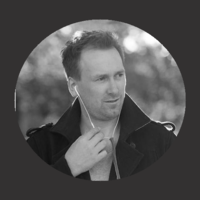 He currently works for BEKK Consulting. Ole is advising Turtleneck on both business strategy & business model. 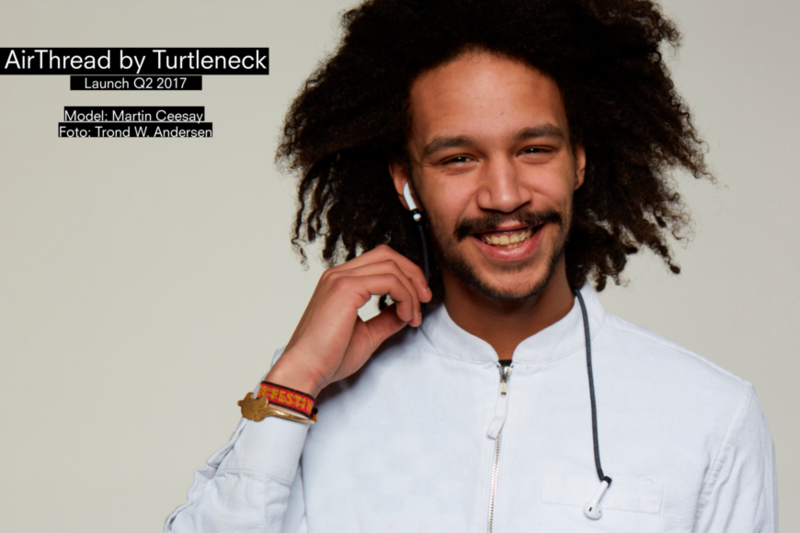 His energy and drive, as well as background and experience with company exits, makes him a valuable advisor for Turtleneck. 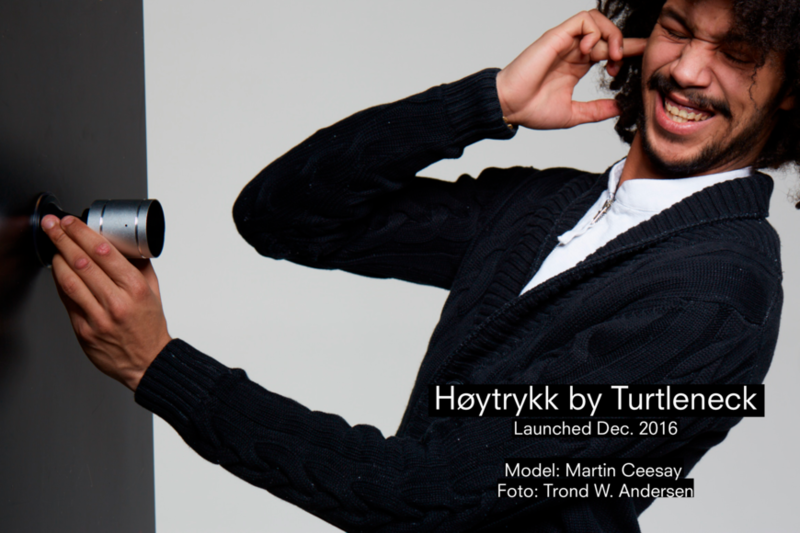 Sverre is advising Turtleneck on product development, as well as retail and growth strategy for the Scandinavian market. 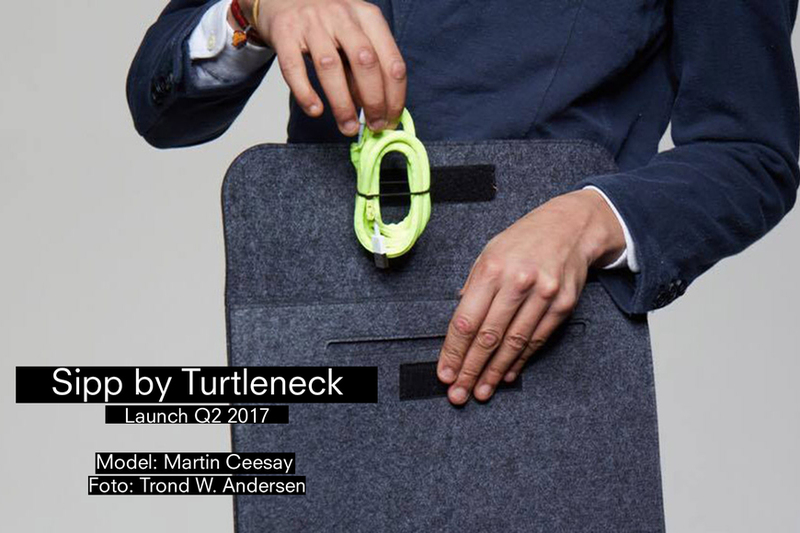 His background as a founder and his experience with product development from Unikia/New Now, makes him a valuable advisor for Turtleneck. David is advising Turtleneck on branding and internationalization. 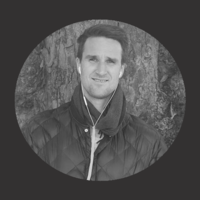 His network and experience with retail in the European market makes him a valuable advisor for Turtleneck. Martin studies PR and Social Impact, and this stud of a man knows how to raise a crowd’s attention. 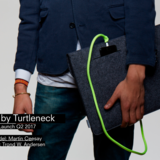 In addition to being our official model, he has been working with sales and event management for Turtleneck. 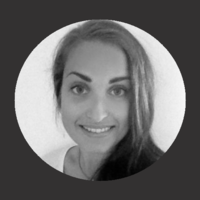 Rebekka is one of Turtleneck’s amazing marketing interns. 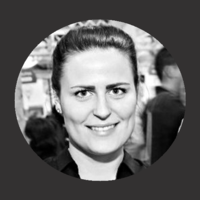 Studying marketing and sales management, she has been attacking Turtlenecks SEO and adwords campaigns with great enthusiasm. We make Rebekka do so much stuff she’s not really comfortable with, but be darned, she still jumps into any assignment with a laugh and great commitment. Peter’s creative mind had been working with our SoMe content the last couple of months. At school he learns about PR and social impact, helping us understand how to reach out to all of you in the best possible way. We couldn't believe our luck when Oda agreed to be our Graphic Design intern! In addition to bringing our design ideas to life in the most beautiful ways, Oda is doing her best to make our homepage look awesome and be practical for all of our wonderful visitors. By signing up you will become part of the best growth company ecosystem, after which you will be able to see all information about the target companies including the company story, business model, market situation, team, goals and growth calculations. Additionally you will be able to easily communicate with the entrepreneurs, and of course make investments in companies of your choice. Registering to our service is completely free and does not obligate you to do anything. Insert the following HTML to you website's source code. If this is getting too technical, please contact your website administrator. If minimum amount is not reached, your investment will be refunded. To read more about what is displayed in the progress bar, please visit our blog post. When did you last waste your time standing in an endless cashier queue? Its time to let you choose, whether to queue or not to queue. Smartcart is the global leader in digital shopping carts and a potential acquisition target based on recent market activities. 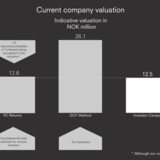 Company's investors include e.g. 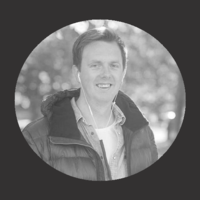 Jarkko Veijalainen & Marko Sjöman who are the co-Founders of the success story of a +€600M revenue company "3 Step IT". Also, as an industrial investor the company has Systec GmbH, a global retail tech manufacturer. 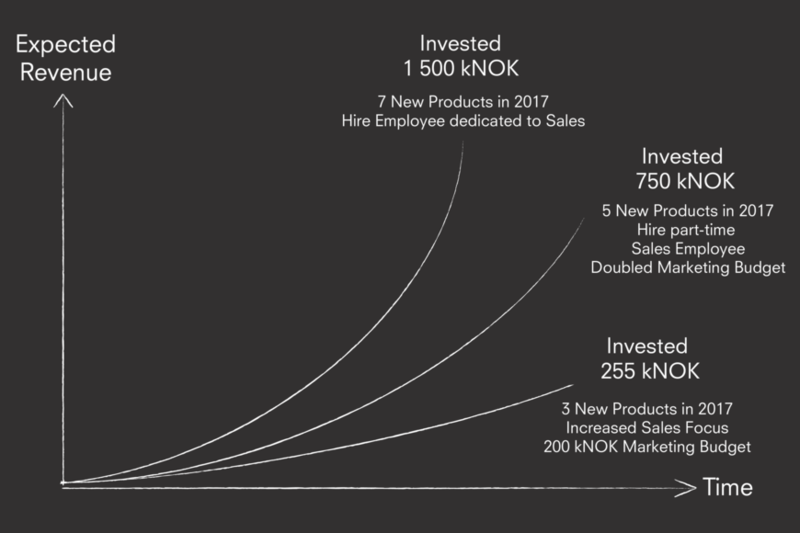 With a highly scalable business model the company estimates it's business to grow 120% on average in the following years. Wello aims to enable about 10% of worldwide clean energy production by 2050 with the Penguin: the most durable, efficient device on the market capable of harnessing the power of ocean waves. The explosion in global population is putting current energy production patterns under severe strain. With over 75% of the planet’s surface covered by water, wave energy holds massive potential. Shipfunk renews the way online stores manage their supply chain and consumer shopping experience. The pre-negotiated transport agreements allow the e-commerce operator to save time and save on transport costs. There have already been lots of corporate acquisitions on the field where Shipfunk operates: Stamps.com acquired Metapack for $ 230 million in July 2018. OneMind Dogs has a unique training method and runs a growing international dog training business in the pet market worth over $70 bn annually in the US alone. Our next step is to launch an online puppy training program for all dog owners globally. Current investors include names like Lifeline Ventures and Gorilla Ventures. The company has a stable dog training business with over EUR 3M cumulative revenue and the monthly recurring revenue approximately €50,000 per month. The majority (c. 70%) of the company’s revenue comes from US, where the lucrative pet market is worth over $70 billion annually. VEEN is a premium beverage company from Finnish Lapland focusing on natural waters and high-quality beverages. With 95% of business being export focused, VEEN is facing a strong growth opportunity in the Indian subcontinent and the Middle East. With natural spring water sources in two of the most remote and unpolluted parts of the world – Finnish Lapland and the Himalayan Kingdom of Bhutan - we have found our niche within the beverage sector in the natural water and beverage segment. India has become our biggest market, followed by the Middle East with brand presence in 16 countries already. In the next 3 years, we intend to cover 55 cities, widen our sales network and distribution platform. The VEEN Portfolio is in line with global beverage trends and we have a pipeline of products that will continue to innovate. Up to 60% of our clothing ends up gathering dust in the wardrobe. Reselling them reduces the need for producing new, reducing textile waste and pollution. This is where Emmy, Finland’s largest online store for second-hand brand clothing, comes in. 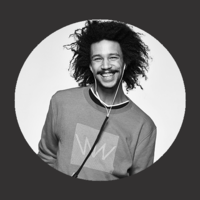 Emmy is Finland's largest online store for used brand clothing. Emmy is aimed at ordinary people who prefer high-quality, durable clothing, think economically and care about the environment, but lack the time or energy to sell themselves. Through Emmy, shopping fans who value responsible spending can find great brands at a great price. With Emmy, you can enjoy fashion without burdening the planet. Emmy is set out to make buying second-hand clothes more fun than buying them new. Carbon-neutral shopping reduces the need to buy new and is environmentally friendly. For both nature and consumers, the best way to recycle is to reuse a product in its original form. Emmy’s sales have ca. tripled every year since the company began operating in early 2015. 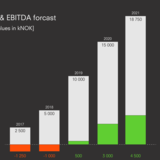 Right now the gross margin is around 20–25% of turnover, having risen consistently throughout the past. Livsdal engineer the world’s most efficient consumer air purifier. An unparalleled performance of certified filters eliminates traffic emissions, viruses, bacteria, toxic molecules, gases and other harmful particles. Sold online, at Harrods in London and from selected stores worldwide. With this investment our objective is to create sales momentum in Los Angeles followed by Beijing. Our iconic brands have been renewed in a fresh and modern way. We have excellent prospects to grow our sales and our bold vision is to double our sales by 2023. Join us and fuel the growth for Nanso and Vogue brands! Nanso Group Oy, the company behind the brands, has also been completely renewed over the past 3 years: we have successfully implemented a fundamental change from a traditional clothing manufacturer into a modern brand company. There are almost 400,000 people in Finland with a payment default. Invest in PCKT and join us on our mission in educating the next generation - today’s children and youth - to be more responsible spenders and economists of their own lives. PCKT - bank-independent payment card and a connected mobile app children and youth. Child learns how to use and save money with their own PCKT Go -app. Invest in PCKT and join us on our mission in educating children and youth to become the economists of their own lives. Solwers is a family business reaching to grow into a full-service company. Planning the structure of built environment needs very special and niche knowledge – and we want to provide it in all divisions. We want to offer the best way to prepare a delicious and healthy meal at home! KomeroFood brings joy and experiences to everyday life in an environmentally-friendly way. 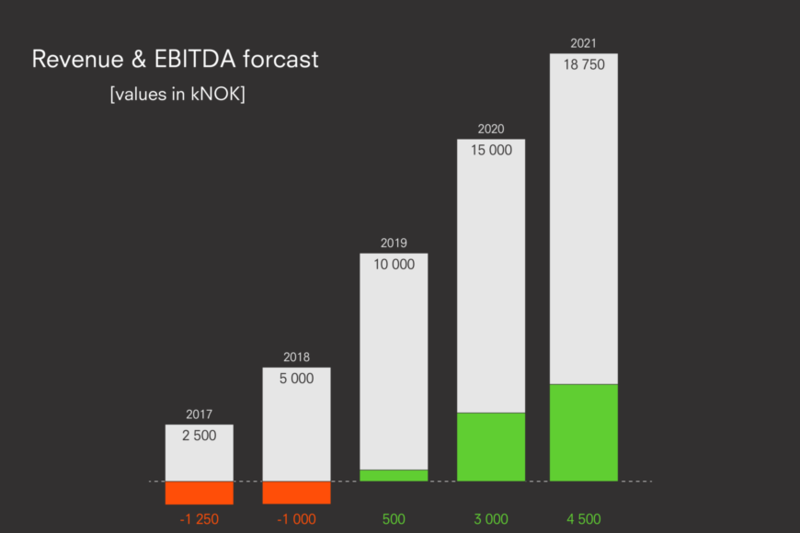 By investing in KomeroFood, you will be investing in the future of food. 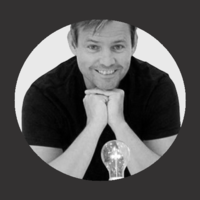 Investors include names like: top chef Henri Alén, Mika Sutinen who increased the turnover of Musti ja Mirri Oy up to EUR 200 million as well as TukkuHeino Oy who possesses strong food supply knowledge, led by Petri Heino. The company has estimated to make an EXIT by selling the business 2022 to a large food industry operator. The business is expected to grow approximately 60–200% in the coming years. Helsinki Sea Pool opened late summer 2016 and proved to be a much appreciated addition to the cultural environment in Helsinki. Already, the number of visitors exceeded all expectations. Next in turn is the construction of the main building. Added to mail list. Thank you for subscribing! 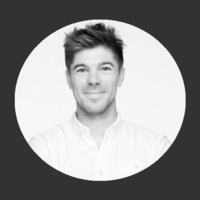 Invesdor connects entrepreneurs from the European Economic Area with investors worldwide. Invesdor Ltd is an investment firm supervised by the Finnish Financial Supervisory Authority (licence number FIVA 39/02.02.00/2014).